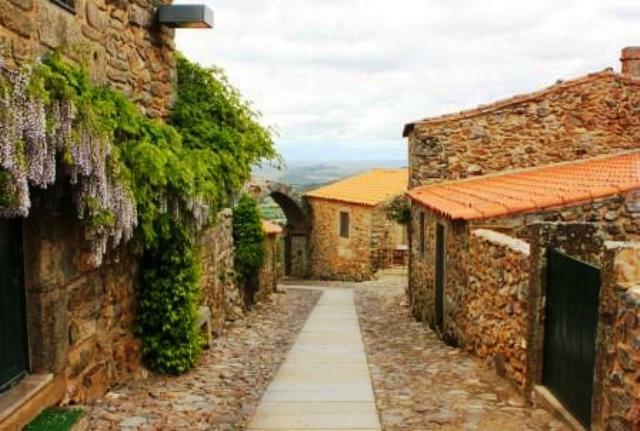 This Medieval village, built on top of an isolated hill, 820 meters above sea level, offers a splendid view over the fields and hills around. This ancient walled town, fully recovered under the Historical Villages Recovery Program, shows signs of human occupation dating back to the Paleolithic age. Although the county seat has passed to Figueira de Castelo Rodrigo, the village still has many places of interest, such as the mother church, founded by the Hospitaller Brothers in 1192 and dedicated to Our Lady of Rocamador; the tank, served by two gates, a Gothic and Moorish another; the pillory and the clock installed on an old tower. You can see how the castle ruins reveals the anger of the population when, at the end of the reign of Philip II, burned the old palace of Cristóvão de Moura, one of the defenders of Spanish legitimacy lusitania land. But…I don’t see any ATMs? That’s probably on the other street. Now that is an interesting place, I think. Imagine what sorts of games could be played there. What sort of games? Hide and seek? Yes…and maybe tag? And needle-shoot. I vote for jumping rope. I’m glad you liked it. The website has many beautiful photos. Beautiful. I should like to move there. Portugal is full of such beauty. Portugal is amazing for being so small. Lots of history and beautiful things to see.